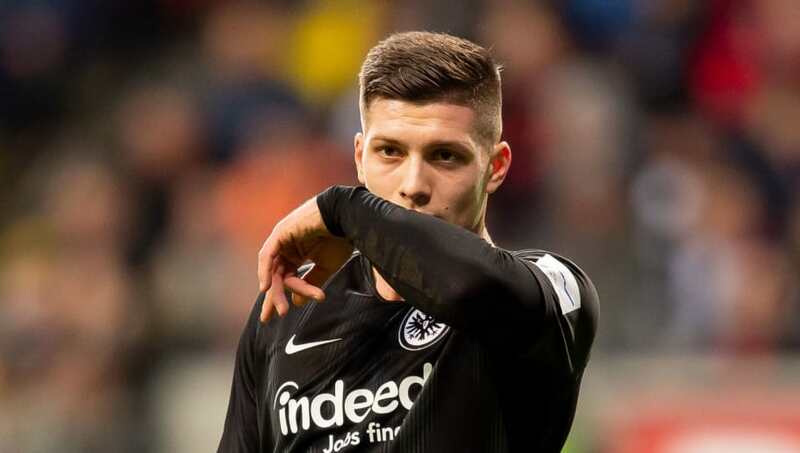 ​Eintracht Frankfurt striker Luka Jovic is one of a number of players reportedly being considered as a transfer target by Crystal Palace, as the Eagles are thought to be looking for a new striker in the forseeable future. Neither Alexander Sorloth or Christian Benteke have been convincing up front so far this season, leaving the London club short of firepower in the final third, and a report by ​Sky Sports has claimed that Serbia target man Jovic is among the names under consideration. The 21-year-old joined Frankfurt from Benfica in the summer after playing understudy to Aleksandar Mitrovic at the World Cup in Russia, and has since scored 20 goals in 37 appearances, making himself one of Europe's hottest prospects in the process. While acknowledging that Jovic looks like something of an ambitious target for ​Palace given his goalscoring numbers in the ​Bundesliga, the report names ​Chelsea's Michy Batshuayi and Liverpool's Dominic Solanke as the other players who have been looked at as potential signings, with the former thought to be ruled out. Solanke, meanwhile, remains a realistic option given his lack of game time at Anfield, and could join on loan in January if Palace can fend off interest from relegation rivals Huddersfield for his signature. Whether a permanent move lies on the horizon beyond that remains to be seen. Palace are also thought to be looking for a winger, with Chelsea's Victor Moses ​'expected' to make a January return on a permanent basis as Roy Hodgson looks to shore up his squad for the run-in. Moses made his competitive debut for Palace prior to his move to Wigan in 2010, and lifted the Premier League title with Chelsea in 2017 before falling out of favour under Maurizio Sarri.